No noise at all around the house and was so nice! It snowed all the day and trees, yards, roads, cars seemed to be covered by soft and white cotton! Today all was magic, I know that tomorrow probably will rain so, the snow will melt fast but today....today it's perfect! Are you hosting a giweaway on your blog? Submit your giveaway to this web site and get more exposure for free!! Another great giveaway...take a look! This one is awesome too!!! I'm partecipating too and...good luck!!!! 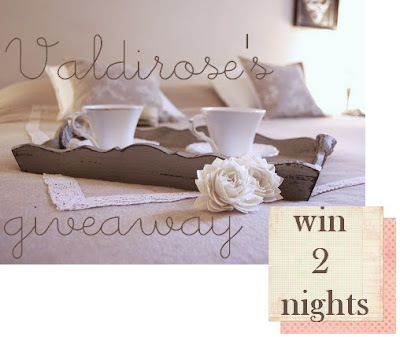 A wonderful giveaway on this blog! I I'm partecipating...what about you? 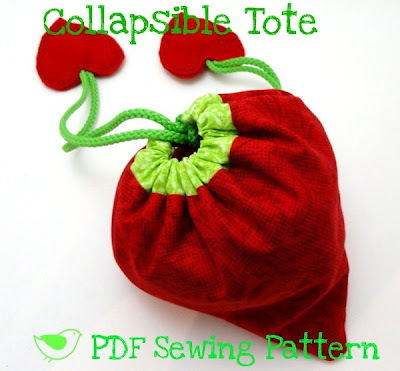 Strawberry Tote PDF Sewing Pattern GIWEAWAY!!! 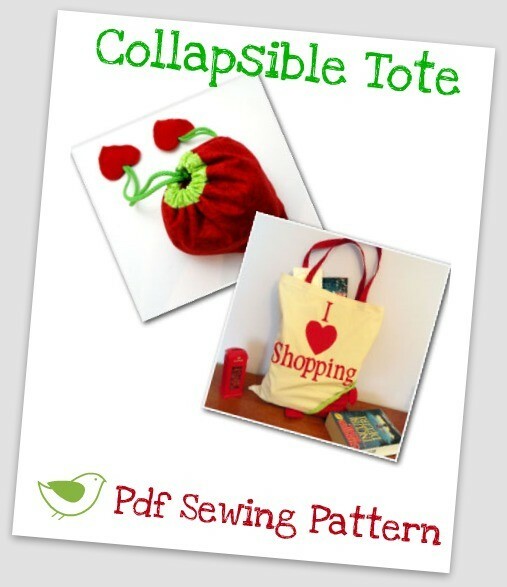 I'm so pleased to offer my new Strawberry Collapsible Tote PDF Sewing Pattern Tutorial to one of my readers!!! 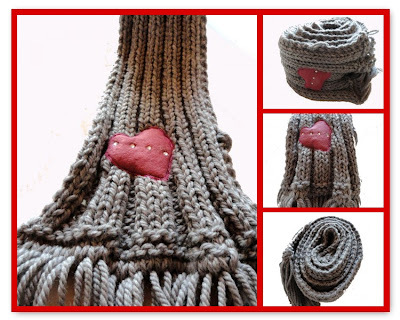 For more info about this pattern, please, clik HERE. 1. Became a follower of this blog, if you already are, let me know in the comment. This first entry is mandatory. Each of those entries give you an extra chance to win so you can choose to do as many or as few as you would like. 3. Follow me on Twitter and comment here. 4. Tweet about this giveaway and comment here. 5. Blog about this giveaway with the link to my blog and comment here. 6. Heart my Etsy Shop and comment here. 7. Add my shop to your circle and comment here. 8. Buy any item from my Shop and comment here. 9. Share this on facebook and comment here. Please, leave separate comments for each entry and remember to put your email or a link where I can find you if you will be the winner! The winner will be chose unsing Random.org and will have 48 hours to respond to my email before a new name is drawn. This Giweaway start today (24 January 2011) and will end next Monday 31th January 11.59pm. I've just finished to knit my new scarf and I love how it turns up! I chose a grey wool, I just knit and purl so...a really easy one! Tomorrow the whole family is going to celebrate my Dad's Birthday! He doesn't have any clues. Tomorrow morning my Mom will tell him that my hubby and me are going to bring them to my sister's house for have a lunch all together! So...when they will be in our car, we will drive them to the restaurant! We ordered for him a wonderful cake and bought him some nice stuffs:a new cell phone, a sweather and a t-shirt and I made him this cute Birthday Card, hoping that he likes it! It's turning the BIG 70th so...it's a very important Birthday!!! HAPPY BIRTHDAY TO MY DAD!!!!! I can't stop to watch them...LOL!!!! Do you like nail art too? Hi and good Sunday to all!!! 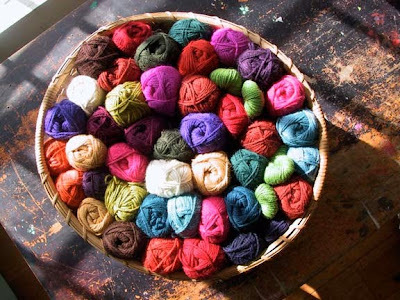 Actually...I fell in love with Granny Square...you can use all the yarns you have in your stash and create beautiful afghans, baby blankets, throws, scarves, pillows, bags and a millions of other wonderful things!!! As I didn't absolutely know anything about the Granny Square...I did a browsed a bit on the web abd I found some great tutorial!!! and...a bit of free time!!! 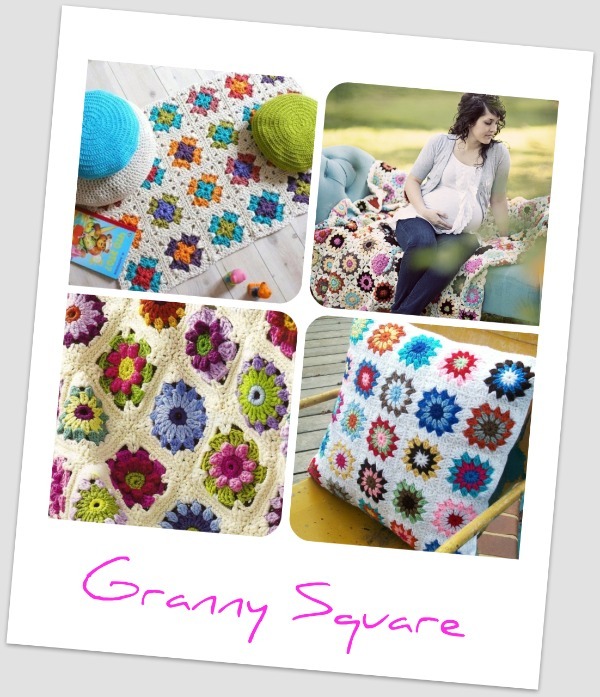 If you have made some granny squares I'd love to hear from you and see them...I can post your pics here too! 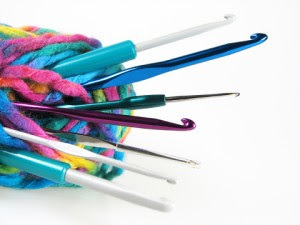 Happy Crocheting to you all!!!! So...after dinner and a long shower...I looked throught my yarns and my colorful knitting needles and I found this beautiful grey wool. What a nice way to take a bit of relax at the end of a "black" day! And soon...I'll have a new scarf to wear!!!! In what way you love to realx at the end of the day? Have a nice day to you all!!!! I'm so happy to introduce you my new sewing tutorial for this very cute and unique collapsible bag!!! My tutorial is very detailed with lots of pics and instructions so really anyone can make this beautiful and so versatile tote. It has the perfect size for carry on all what you need and you can go to the grocery, gym, a day of shopping, to office, to the park, knitting tote,to a craft class...the possibilities are endless! You can make one for yourself and surely this tote make a great and very appreciate gift!!! 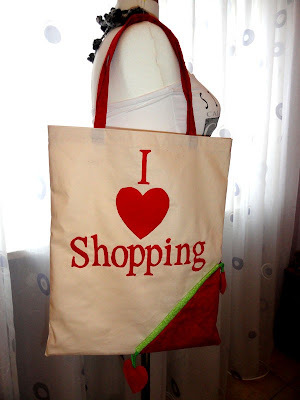 Change the fabrics, colors, words...it should became the perfect tote for any occasion!!! When you don't need it, put it inside it's case, pull the cords and...voilà...your tote is now a little stuffed heart or strawberry...too cute!!! Hope you'll like it as much I like to make them and write this tutorial! If you'll buy it and make them, please, send me your pics and I'll be happy to put them here on my blog!!! You can find the tutorial HERE on my Etsy Shop. My first Baby Quilt Pattern! And...first of all...HAPPY NEW YEAR TO ALL!!!!! 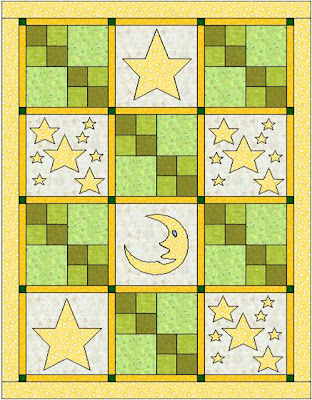 Well...after so many years in making quilts...I'm so proud to show you my first PDF quilt pattern! 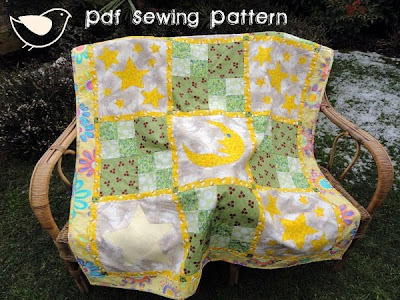 It's a Baby Quilt Pattern, so sweet and quick and easy to make! With my step by step tutorial, full of designs and graphics, you'll make it in a snap!!! If you like it and would like to try it...you can find it here in my Etsy Shop! I would love to hear your comments about it!